A great journey will stick with you for a lifetime. When it’s long behind you, you will still occasionally see something that takes you right back in time on how you felt at the moment when you saw or experienced something phenomenal. But those experiences aren’t something you should keep to yourself. If you want to relieve your travels, then share your travel story in a way that immortalizes them. Make them a story and get others to share the journey with you. There’s a good chance that you’re already one of the many people who like to get a little snap happy when you’re out and on the road. 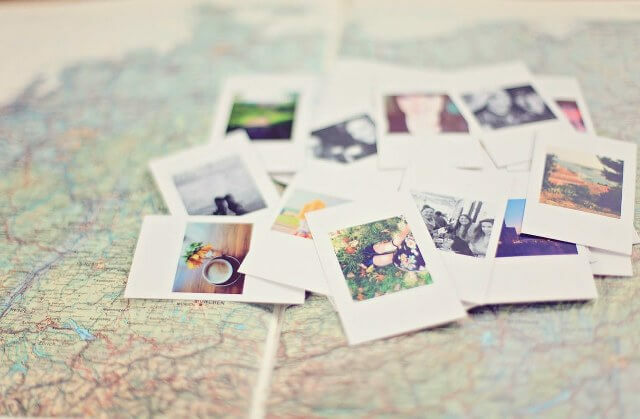 Photos are a great way to share the memories of the trip with your family and friends when you get back. I generally send my photos via our Instagram account and in Deviantart. Sometimes, I also upload photos to our Flickr account and Pinterest. Of course, our Facebook and Twitter also get the chance to show our excellent travel photos. But sometimes, you could just easily share it with the other people while you’re out there using hard copies. Postcards are an excellent way to keep in touch with the people back at home. You can just make your own postcard, or get the best ones in the nearby bookstores or souvenir shops and send it to your family. I’m sure they’ll be overjoyed when they see your photos. But if you want to make those photos of your own, you can use some pre-packaged imagery to go with your best wishes, tools like Adobe Spark make it possible to share your photos.Other tools include Adobe Photoshop and MS Paint. While your postcard is telling them all about what you’re up to on your far-flung corner of the Earth, the imagery you’ve collected yourself is going to make it even more immersive for them. Travel writing is always some of the most immersive writings out there. For some people who don’t get the chance to move as much, it’s the only way they get to experience some of the things you’ve seen and done. It also gives you the chance to put into your words how what you’ve seen on your travels has impacted you and what it has meant to you. It’s a great reflective exercise and helps you discover what you love about traveling. Even better, many people have been able to make money by traveling thanks to writing about it. Selling books, joining an affiliate program with their blog, and even getting paid to visit certain locations can follow if you start putting your journey into words. You can visit our latest post about earning money while you are sharing your travel stories. A hobby is always a lot better when you’re able to share it with someone who truly gets it. As a traveler, you’re going to have a lot of opportunities to meet other people out on the road. If you take the chance to spend some time with them, you will find yourself swapping stories and getting fully engaged in one another’s experiences. Even better, a worldlier traveler than you can give you some great tips on where to go and what to do. In the future, you can return the favor to a greenhorn wanderer. There are plenty of apps like Backpackr that make it a lot easier to meet up with fellow travelers. Just play on the safe side and meet up in highly trafficked public places. If you love traveling, there’s a good chance that you also love hearing tales of others travels. It’s a shame to keep all those great sights and stories to yourself so share your travel story in the world. Take friends, family, and even strangers with you using the methods above and have fun while in your journey.